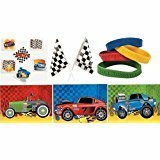 12 Race Car Rubber Bracelets in assorted colors. Each bracelet is stamped with one cool race car saying: “BURNIN’ RUBBER”, “EXTREME SPEED”, “PIT CREW”, & “FULL THROTTLE”. 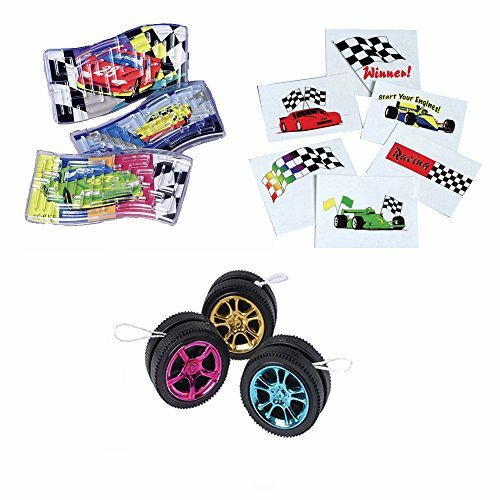 12 Make-A-Hot Rod Race Car Sticker Scenes. 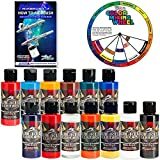 12 sticker sheets and 12 background sheets, enough to make 12 cars. Each child would get one. There are 3 different designs and 4 of each design. 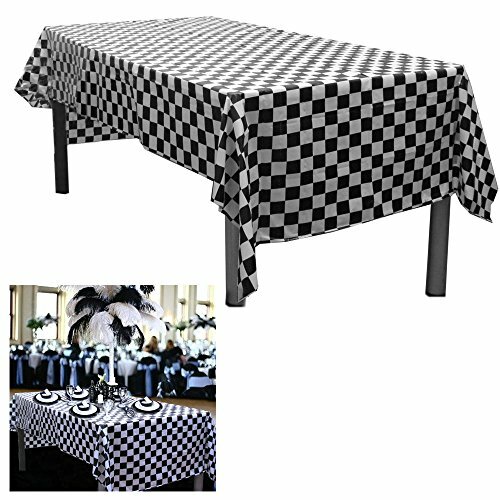 6 Black And White Checkered Plastic Tablecloths. 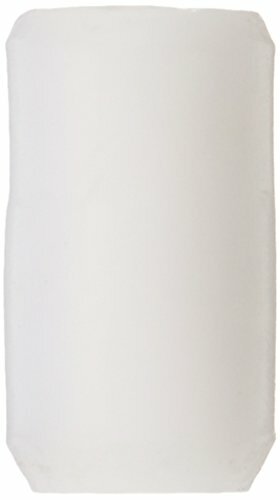 Measures 54″ X 108″. 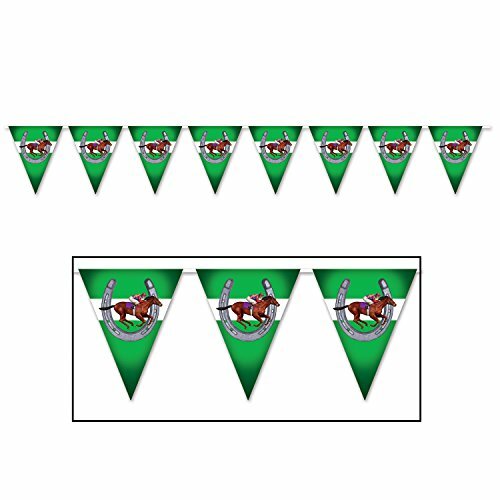 Disposable Plastic Party Table Covers – Racing Party Decoration. Each Table Cover Is Individually Packaged For Later Use. 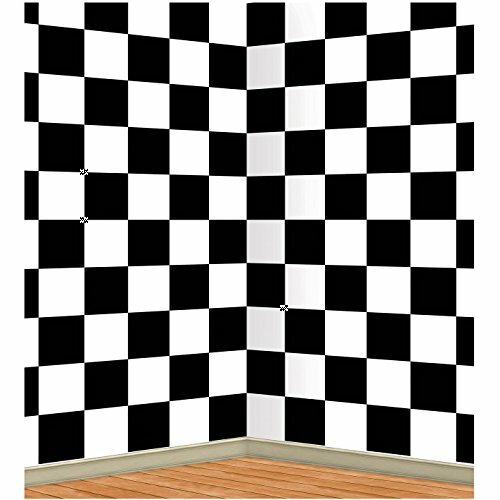 Pack includes 6 individual packaged black and white checked table covers. Each table cover is individually wrapped to storage for later use. 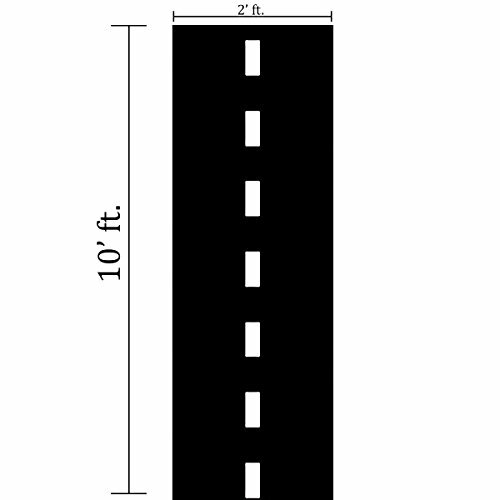 Measures 54″ x 108″. 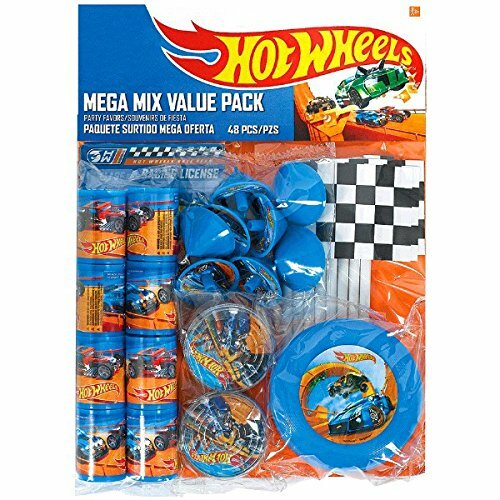 Made of high quality disposable plastic. 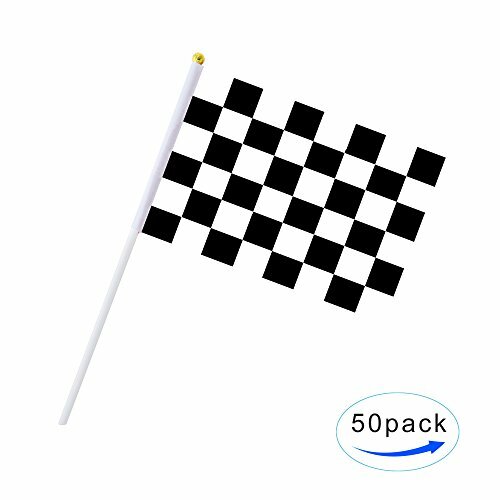 Add some style and class to all of your parties and events with these flag black and white checkered disposable tablecloth. 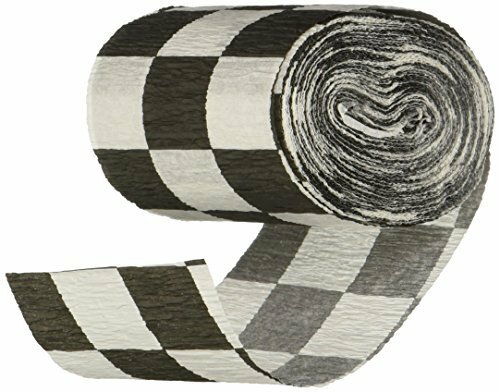 Non-woven polyblend black race track floor runner with white lane stripes. 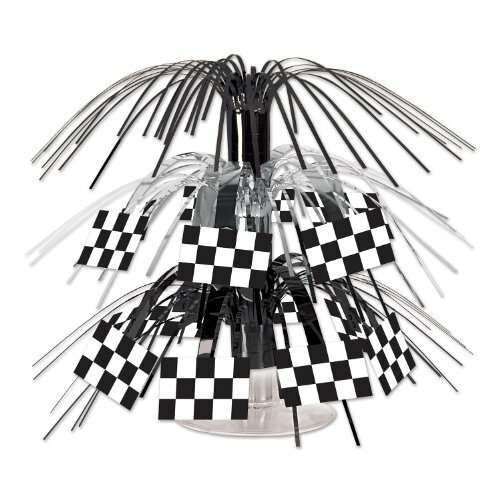 The perfect decoration to take your race-themed party to the finish line! Double-sided tape at each end helps to secure the runner in place. 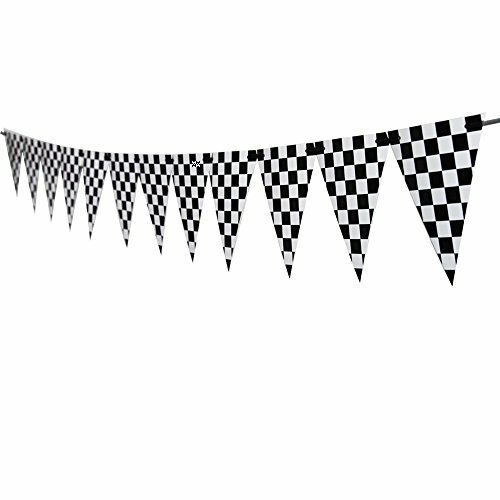 Party decoration:White and black checkered pennant flag is a great value! 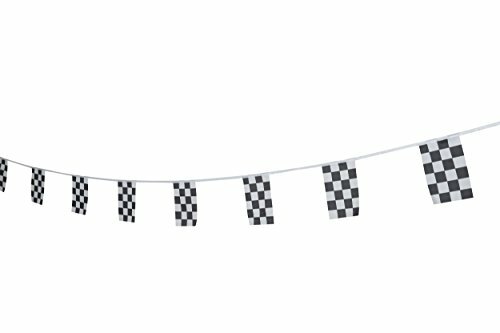 Racing party item:Great party decorations from start to finish! Material:Made of paper .Size :8.6 inch (height) * 5.9 inch (wide).